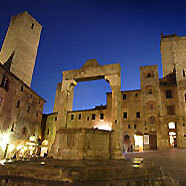 San Gimignano ... A GREAT IDEA FOR A WONDERFUL VACATION ! WELCOME TO A Casa di Dona HOLIDAY FARM ! 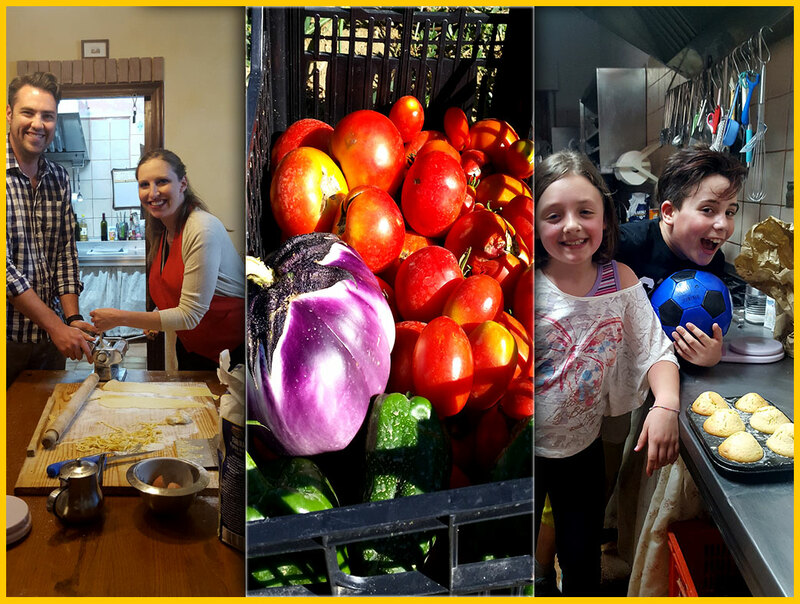 A VACATION AT A HOLIDAY FARM IS THE MOST GENUINE EXPERIENCE YOU CAN HAVE! 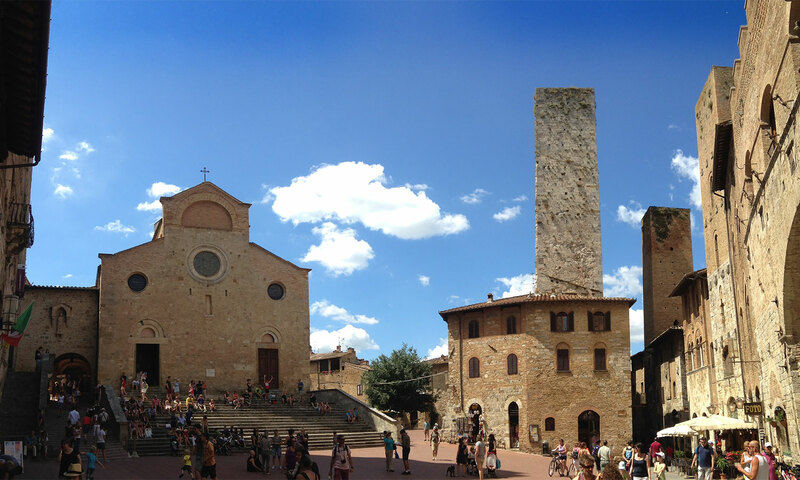 The holiday farm is located in the heart Tuscan region and it’s very close to the most fascinating tourist destinations in Tuscany. 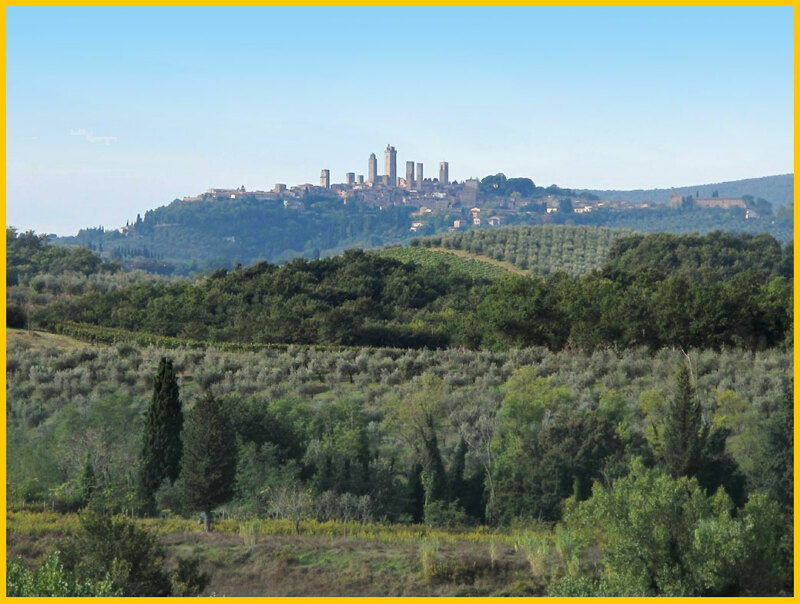 A Casa di Dona is the ideal choice for anyone who wants to experience the real Tuscany under the hallmark of relaxed friendliness, affection, great food, excellent wine, nature, pleasure, cheerfulness and simplicity. 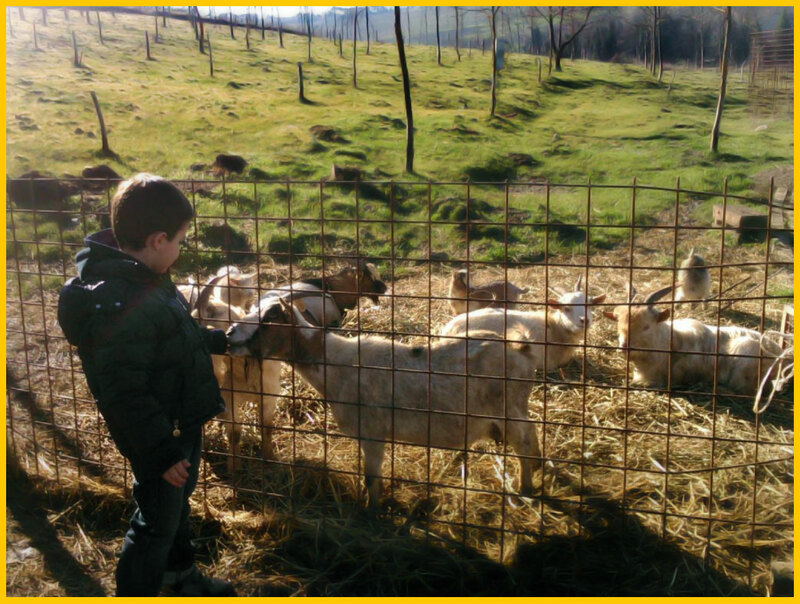 This holiday farm is proud to be child-friendly, pet-friendly and gay-friendly. 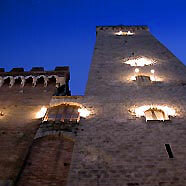 A Casa di Dona is the perfect place for couples and families and offers a special welcome to pilgrims and athletes. 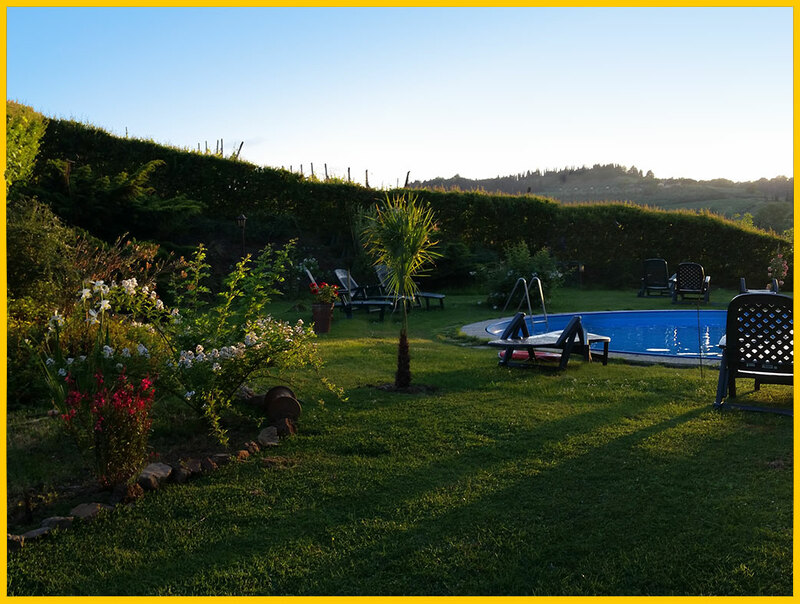 The holiday farm is within walking distance - only 3 kilometres - from the Certaldo railway station, it accepts guests for both short and extended stays (minimum 2 nights) and is managed directly by owner Donatella Rubicini who always does her best to pamper her guests by making them feel right at home. 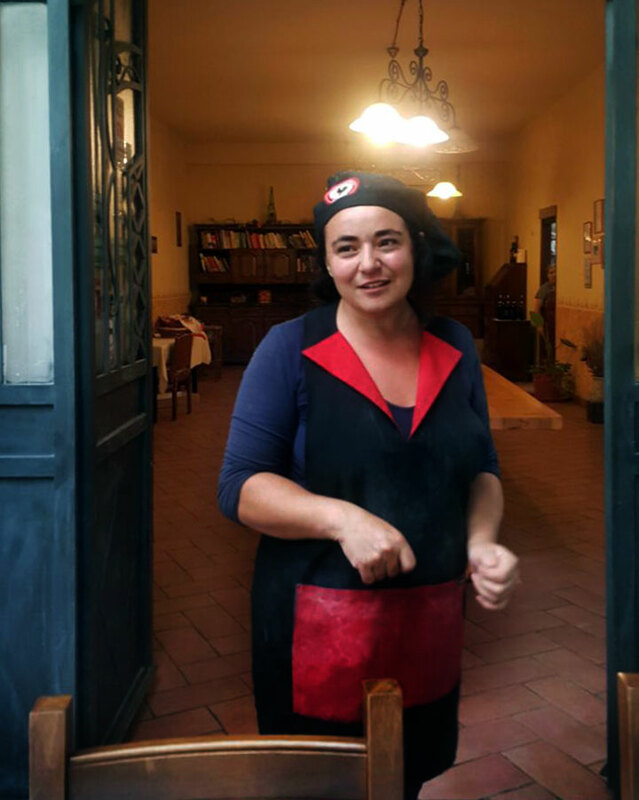 Donatella’s motto: "... as you sow so shall you reap ..."
The owner Donatella received her diploma from an upper school in Colle Val d’Elsa and specialised in foreign languages. 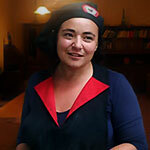 In fact, she speaks English, French and Italian. She has been an agricultural entrepreneur since 1998 and became a certified holiday farm operator in 2000. 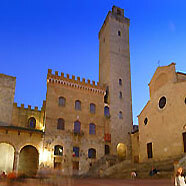 She also attended the Italian Chef Academy in Empoli. Donatella loves sports (she’s a runner and a pole dancer) and she loves fine cuisine, outdoor activities, animals and enjoying conversations with her guests from all over the world. Full of life and outgoing, she is constantly trying to make her holiday farm a better place to live and stay, remaining loyal to the rules of life her father taught her: dedication to your profession, passion for the land, respect for others, courtesy and cheerfulness. 5 bedrooms with bath for a total of 14 guests. 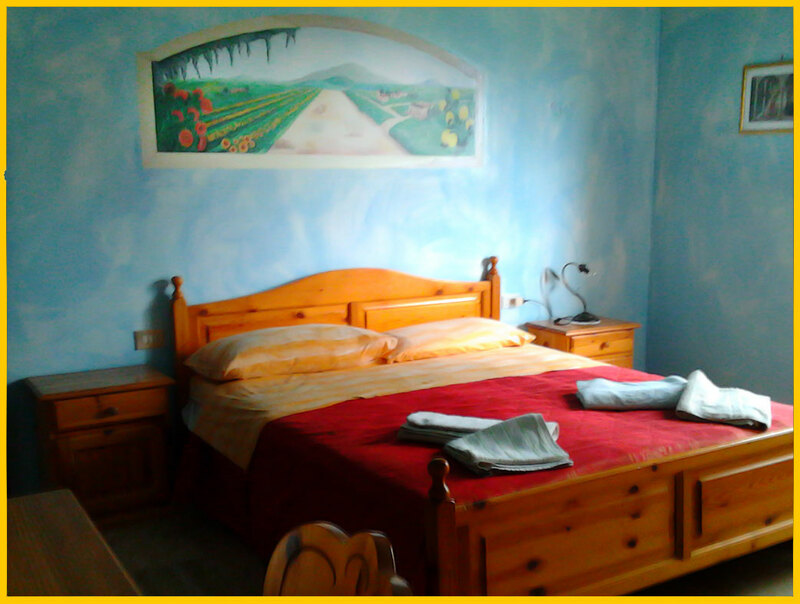 A supplementary bed can be requested for guests lodging in the more spacious bedrooms. 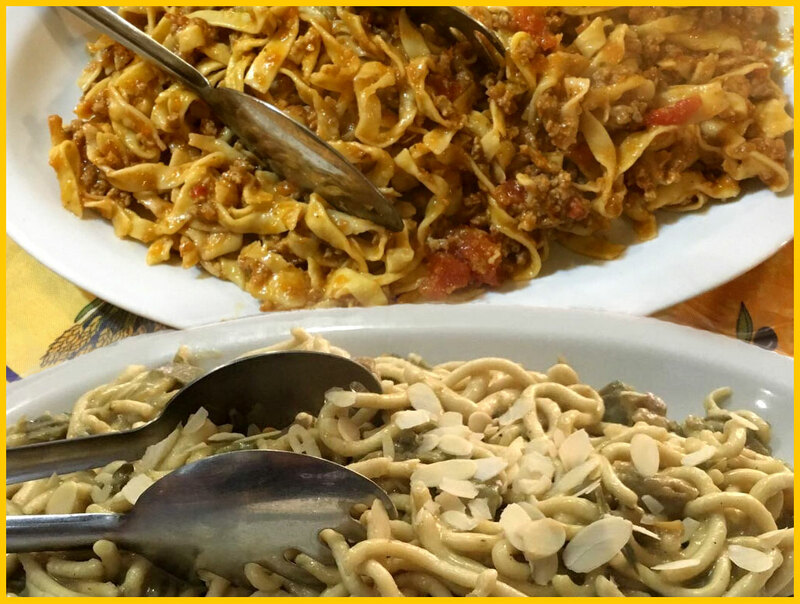 Delicious traditional Tuscan dishes prepared with fresh ingredients grown on the holiday farm. Your pets are welcome at our holiday farm and then there are the farm animals to keep you company! 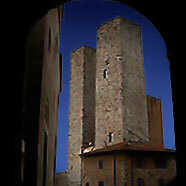 Welcome to our evocative medieval town ! 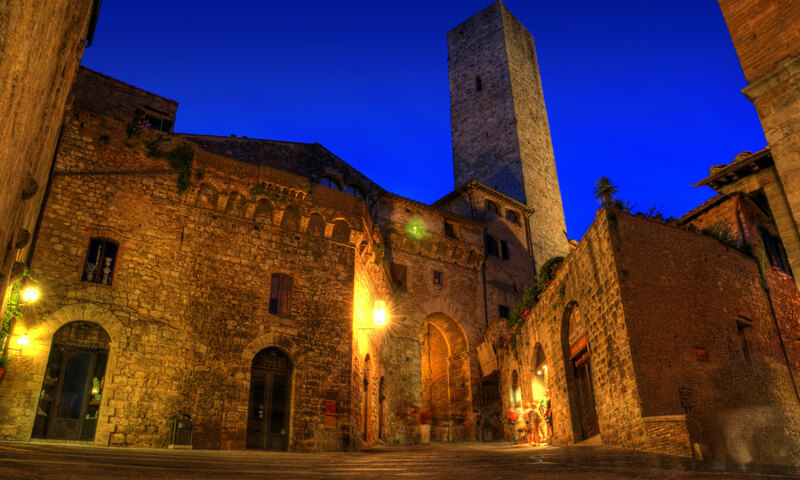 The turreted village of San Gimignano stands 324 metres above sea level and rises on a hill overlooking the Valdelsa valley. 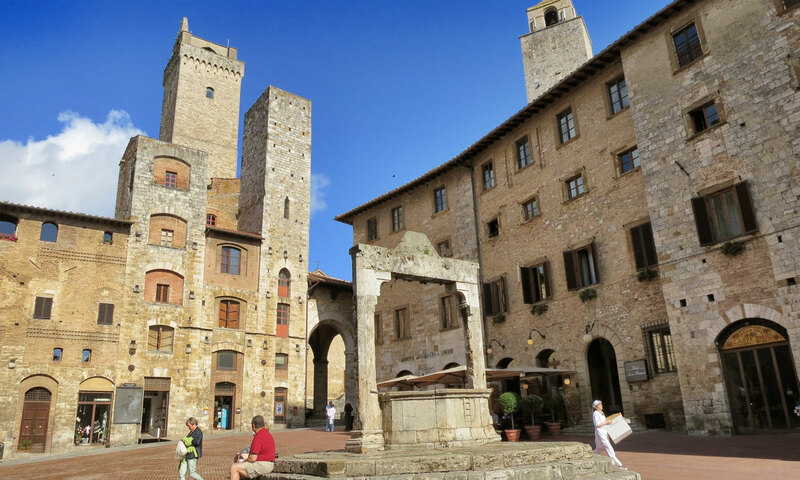 Inhabited since the time of the Etruscans, the town become famous and powerful in the early Middle Ages due to its location along one of the wealthiest and most frequented roads of the time: the Via Romea also known as the Via Francigena. 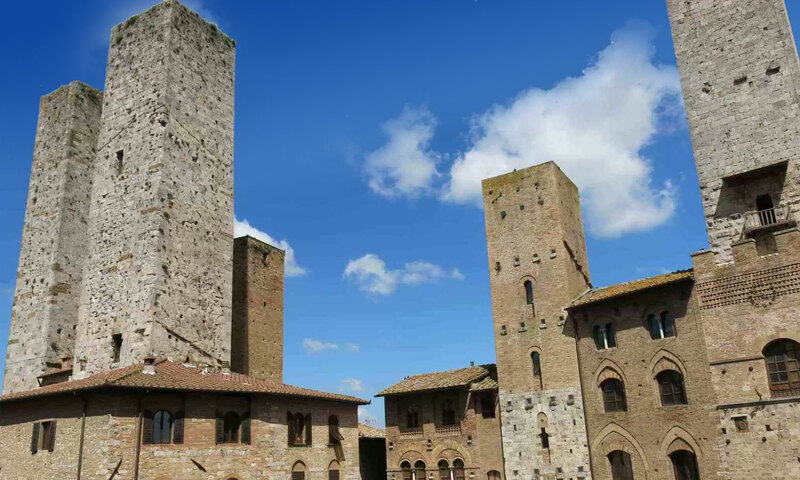 Today, as during the Middle Ages, San Gimignano maintains its characteristics as a bourgeois city of artisans but above all it is a city whose wealth comes from the land since its main sources of income are wine, oil and saffron. ... so all you’ve got to do is come and see it ! !